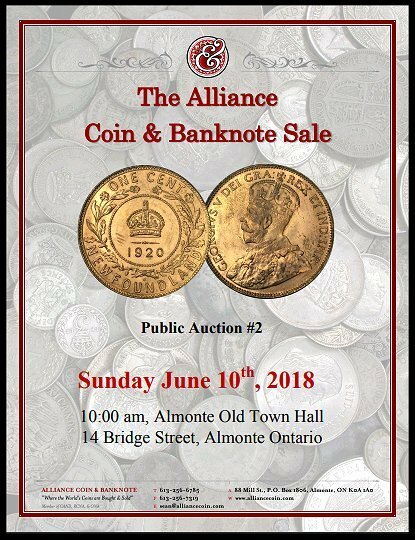 This entry was posted in Alliance Events, Alliance News, Coin Collecting and tagged Alliance Coin & Banknote, Almonte, auction, Coin, coin auction. Bookmark the permalink. ← An Unprecedented Silver Offering!